Auto financing is often the least exciting part of purchasing a new vehicle. Let Mercedes-Benz of St. Louis change your mind with our one-of-a-kind finance center. St. Louis, MO area customers will not only be offered a great selection of new and pre-owned Mercedes-Benz models, but our staff will also investigate finance options to make their auto financing experience painless and simplistic. We also serve the areas of Ladue, Edwardsville, Collinsville, and Clayton, MO with auto financing solutions. Options. Our financing specialists will offer customers a wide selection of financing options to help them carefully craft a personalized auto finance loan. Finance Offers. 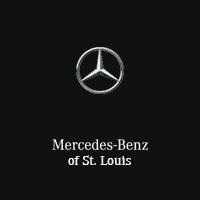 Mercedes-Benz of St. Louis offers various financing and lease offers. Fantastic customer service. Our team of financing specialists is dedicated to helping St. Louis area customers pick an auto loan plan to fit with their lifestyle and comply to their needs. When St. Louis customers browse our website, they’ll find a few tools that will assist them with everything from applying for financing to figuring out a reasonable monthly payment. Finance Application. Expedite the financing process and possibly get approved for an auto loan before you even leave the house. Payment Calculator. St. Louis, MO customers can assess their ideal monthly payment with our handy payment calculator. Simply plug in the vehicle’s price, down payment, A.P.R., and term to find out how much you’ll be spending each month on your new Mercedes-Benz. Trade-In Appraisal. Do you have a used vehicle you’d like to trade in for a new Mercedes-Benz? Mercedes-Benz of St. Louis has an easy-to-use appraisal form for our customers to swap their old vehicle for a new luxury model from our expansive Mercedes-Benz inventory. Stop into Mercedes-Benz of St. Louis to view our luxury vehicle inventory and receive incredible auto financing offers. St. Louis customers can get in touch with us by phone or through our website for more information.